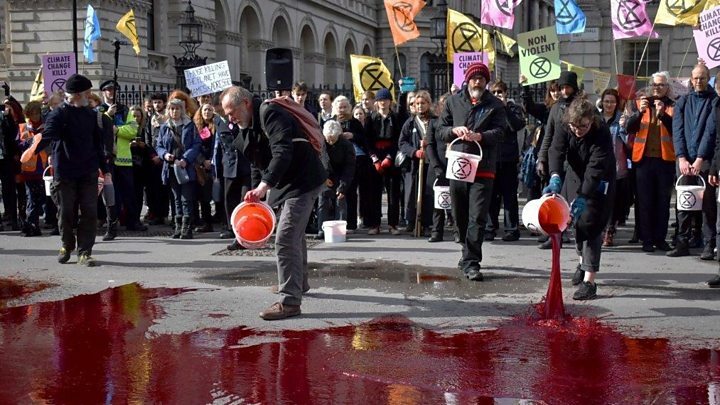 Home / Environment / Science & Tech / Extinction Rebellion: Saving the world or wasting police time? The Taxpayers' Alliance says their behaviour is "clearly irresponsible and wasting police time". The campaign group's chief executive John O'Connell said: "They should stop these juvenile actions and express themselves peaceably, and not resort to playground politics."